MillDuck Jarrah had a very successful show career - being placed every time shown from a junior through to senior classes. 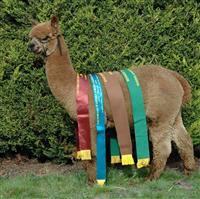 He won 7 Broad Ribbons – in both Age Championship and Coloured Shows. 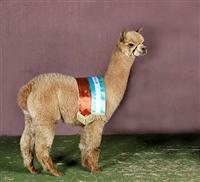 Jarrah was 4th in the 2007 VCR Alpaca of the Year. 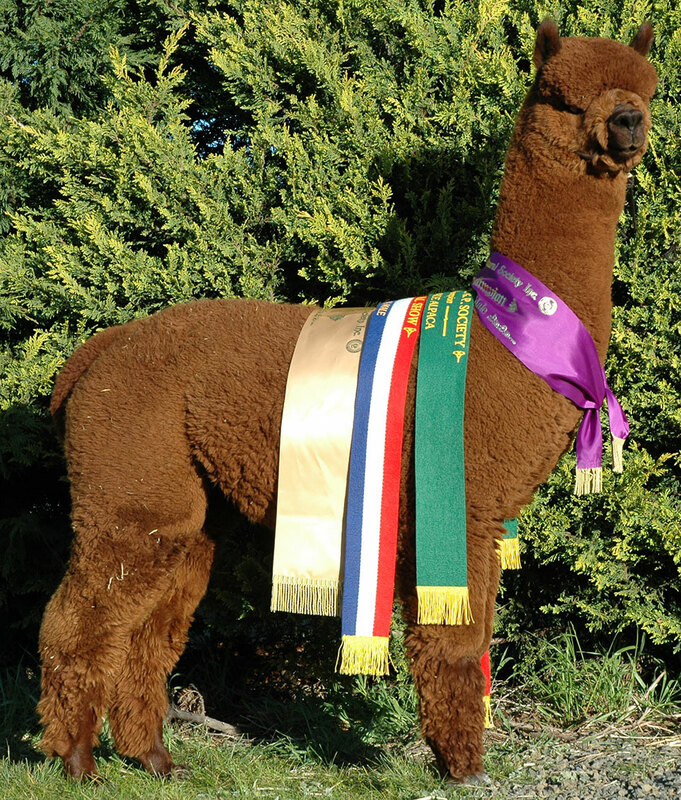 His Sire, Wyterrica Rory needs little introduction having won Supreme Brown at 2004 & 2005 Colourbration Shows. Jarrah’s dam is a dark fawn. 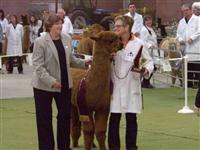 Briginti was placed 3rd (25 in class) in the Junior Fawn Female class at the 2001 AAA National Show. This was prior to the fawn class being split into Light Fawn and Medium-Dark Fawn as we know the classes today. Briginti’s genetics include Highlander & Inti. Whilst Jarrah has retired from showing - he has continued to have a presence in the show ring through his success in Sire’s Progeny Classes and the individual performance of his progeny as outlined below. Jarrah has also won the prestigious Sydney Royal Easter Show Sire’s Progeny Class plus numerous progeny classes at large Regional Shows. 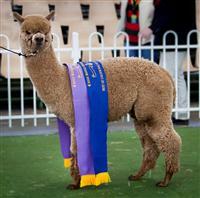 Jarrah’s coloured progeny have done exceptionally well since entering the show ring. 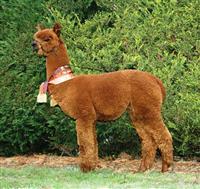 Each year we name the cria with the next letter of the alphabet. Jarrah’s first progeny were in the “M” year – so you can see he has consistently produced Champions eg Manhattan, Mercedes, Nikki-Louise, Nikita, Narvik, Omni, Oxford, Oregon,Perkins, Pittsburgh, Ms Posh, Suzi Q. As at 2016, thirteen of Jarrah’s sons are working Stud Males –We have sold four to Europe. 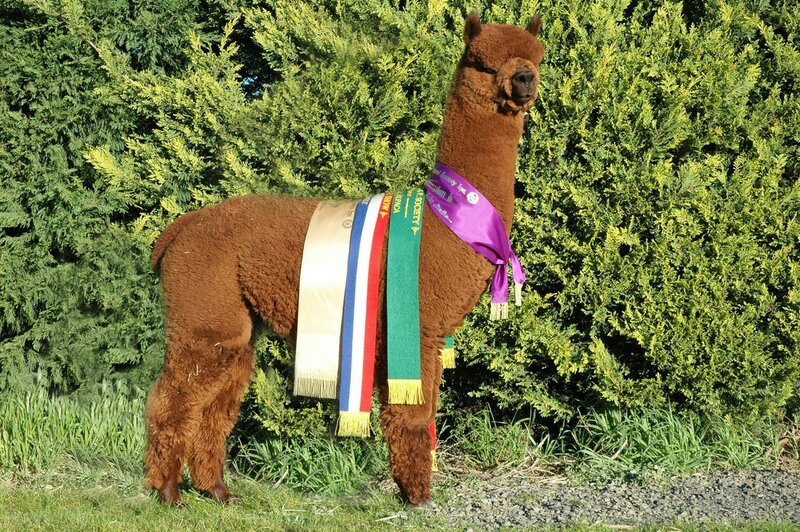 Below is an overview of Jarrah’s progeny with a summary of their show results. Best Brown in Show - 3 times.